Do you realize formaldehyde is in so many things that we don't even think about? Yes, we need to take the proper precautions, but let's not freak out. Can I just say that BKT is from heaven? I got my first treatment at a salon 2 years ago for $280! It took like 3 days for the whole treatment to be done, but I really like my hair. Last month, I bought the Encanto Brazilian Keratin Treatment brand on ebay. WOW. BEST EVER. Seriously, it was really inexpensive, and only took a couple hours for the whole thing to be over! My mom did it for me, and I was very satisfied. Personally, I feel like the Encanto Treatment gave me more shine. Also, Encanto has a facebook fan page where if you join and post your questions or comments, they give you 5% off any purchase! Wondering the same thing..... anyone know? Are they still in business???? Are they no longer in business or selling the product?. That would be awful as it was a VERY good product. Can't seem to reach them by email, or phone. Anyone have any info?. Thanks. I just purchased this kit and can't wait to try it out. I have had some really bad experiences with other companies. But one of my good friends swears this stuff is amazing. Thanks for confirming her advice! Hi girls, i need help, where i can get or buy that products online? price &how can I bay your products? I am a print model based in Atlanta Georgia. This product works wonders for my coarse, 4a hair. I totally recommend it for anyone wishing for low-maintenance hair style that turns heads. The shine is incredible. Encanto is definitely the best brand I've used. READ directions. you don't have to spend a lot of money on great hair. skip the salon. Also, they have a crazy following on facebook...and a nice looking website. The bad reviews made me chuckle. Okay ladies... First off, I would like to say that I am not affiliated with this company at all, however I am very knowledgeable when it comes to keratin as I am a licensed hair "artist". With that said, I have used Encanto religiously on my own hair and my clients' hair for almost 4 years now. First piece of advice? Don't be stupid! Follow the instructions EXACTLY. 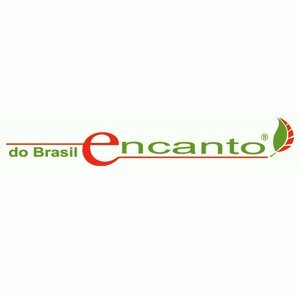 I had a client's sister tell me her friend had used Encanto's post treatment as a CONDITIONER and was wondering why her scalp was burning and her hands felt funny afterwards. The Post treatment is not an after care routine...consider it like a step-two of the treatment. It still needs to be treated with caution. Don't try to diverge from the instructions because you think you're smarter....because then it's only your fault. At one point Encanto was selling an after-care set, but I believe they have been all sold out for sometime now. Now, for the smarty that points out lack of "company information"...I personally have spoken with an Encanto representative on 3 different occasions. Their US office is based in Hagerstown, MD (which you can see on the mailing address) and they work with importing factories from Chicago. They also have a branch in central Brazil (which sells only throughout that country). The thing I like most about this company is that I feel they are very honest. The lady I spoke to made a comment referring to the bad reviews focusing on the inexpensive price. She kind of laughed and said, "if our customers would like, we could rip them off and sell it to them for 4x the price!" she then added that keratin is one of the most inflated products on the market right now and don't believe in the quality just because of the high price. Overall they have been very pleasant and helpful to my questions over the phone and they are one of the few companies that will ship worldwide. I will add that not everyone's hair is made the same way. With that said, this is not a 100& foolproof formula just like ANY other experimental product you'd buy. Just because it didn't work for Jane Doe, does not mean it wouldn't work for you. I have found however that some people just like to complain. That's all ladies! Have a blessed day! We must see ourselves like beautiful stars. This product is strong but very good and by taking proper precautions it will not cause much problem as pointed out! If it applied in a place with sufficient ventilation nothing happens. Personally, I have applied twice every eight months. I am Hispanic with wavy, frizzy hair and I live in hot and very humid South Florida. I bought this product last year from e-bay and did the treatment in my balcony with a fan blowing towards my face from start to finish. Yes, the first time I did the treatment, it was fumy and it irritated my throat a little. But four months later I redid the treatment and used a bandana that I wrapped around my none and mouth and it helped alleviate the fumes. I just finished my third treatment in a year last week since summer is right around the corner and the humidity level is rising. I must say that it has been the best thing I have done for my hair. The sponginess and frizz is gone and my hair has volume and shine. It is important to follow the instructions exactly and use in a very well ventilated area. For those of you having problems with the product and/or the results, the following observations might be useful. When doing the flat ironing, make sure that the moment you close the blades on your hair you immediately run it through to the ends. Clamp and draw. If the flat iron stays in one place for too long, it can burn the hair. You are using very high heat so please keep this in mind. Also, some hair types can take higher heat than others. I don't know what temperature setting I use since my flat iron has a numbering system from 1 to 25. I usually set it at 20 and it works for me as my hair is easily damaged with heat styling. I have watched you-tube videos where the flat iron is producing steam. On my type of hair it would fry it so I prefer a lower setting. I have no problems at a lower setting and the product seals well and last at least 3 months in summer (about 4 months during the less humid months of the "Florida winters". I have used this treatment for almost a year. I am 41 and do it myself. I am in no way a part of the company so let me say that right off. you HAVE to follow the instructions to the letter, if you leave too much conditioner in, yes your hair will smell. and yes the fumes are very hard to deal with however they DO tell you to use ventilation in the instructions. I am bi racial and my hair has always been very thick and very curly. I can do this treatment, takes about 5 hours from start to finish and maybe run around my living room a few times with the ceiling fan on, and then I'm done. I love it, I will always use it. I think those with problems are looking for a reason to have one. I personally have nothing but good things from it, no breakage nothing. Actually my hair is longer than it has been since I was a teen. And for those with issues I do hope you find what works for you. I certainly did. Ive read pros & cons regarding this product. I just like many others had mixed feeling about it but went ahead & purchased it through ebay (3pc for $48). I have the procedure done & I'm in love with the results. Yes its fummy but nothing to die over. The treatment itself took about 3 hours doing all the steps it required. I have long (waist line) & curly hair. I totally loved the result. I personally have no complains whatsoever. My hair is smooth, shinny, silky-could not have asked for anything better & the price was well worth it. I do wash my hair with sulfate free shampoo & conditioner, it allows the product to last longer. Its been 2 1/2 months. My hair has actually grown more & is super healthy. Not worth risking your health!!!!!!! My daughter bought me this as a gift and I was soooooo excited about it but being the health nut that I am I decided to look into it before going ahead - I am so glad I did, this product is not good for you, why would you risk major health problems in exchange for smooth hair (and believe me I really wanted to - my hair is unruly to say the least) I have been told by hair dressers NOT to do it!! and the Internet is a great source of information. Get Informed before you do it!! Not sure what I'm gonna do with it now. PS - Thanks to all of you for the comments - it helped me to decide that its NOT worth it!! and the comment about where the company is and trying to get a hold of them is right!! VERY SUSPICIOUS!! Me and a friend heard about this product so we both bought it and did it to each other. My friend is a hairdresser and showed me how to do it. A week after the treatment, we both started to notice MAJOR hair breakage. Lots of hair even 3 months later. People, You have to wonder WHY THIS PRODUCT COST $48 When all other treatments cost over $200. Please do your research. It is not worth ruining your health to save a few $$. Go with known brands without Formaldehyde. A week after the treatment, I started having a continuous noise in my ear like I could hear my heart beat in my ear (some product leaked in my ear while rinsing my hair). I went to see an ENT, I was diagnosed with TINNITUS. I never had problems with my ears whatsoever. No health problems at all. I am in the process to find out if the product could have been the cause of this. Me and my ENT are investigating. This product might make your hair look nice at first but 3 other people I know used it and experienced major breakage. DONT BELIEVE ALL THE POSITIVE quotes you read about this products. Might not be users who wrote them. PS: Have you noticed you cannot even find out where this company is and where the products are coming from?! Words to the wise.